Thank you for choosing our Japan escorted tour!! – Please fill out this form completely and make a payment of $100 deposit per person to register for the tour. 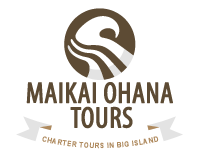 We will confirm your tour registration by e-mail (from jtour@maikaiohana.com) within 2 business days. Arigato gozaimasu!! If you are paying your tour deposit of $100 per person or balance by a personal check or money order, please make it payable to Maikai Ohana Tours and mail it to Maikai Ohana Tours, Japan Sales Dept., 260 Kamehameha Ave., Ste. 209, Hilo, HI 96720. 1. How many times have you visited Japan before? 2. What are you most interested in this Japan tour (food, omiyage, stores, etc.)? 8) Any requests or comments? *Please note that we may ask you to fill out a paper registration form later.